Chris was born and raised in the shadow of Mount Mansfield in Underhill, Vermont. He grew up in the woods, maple sugaring and growing Christmas trees. After attaining a degree in economics at the University of Vermont, and living for two years in San Diego, California, Chris returned to Vermont and started Mount Mansfield Maple Products. “Working for myself really allows me to develop my passion for photography. Much of my photography is impulsive, and my favorite subject, Mother Nature, often presents herself dramatically at randomly inconsistent times. 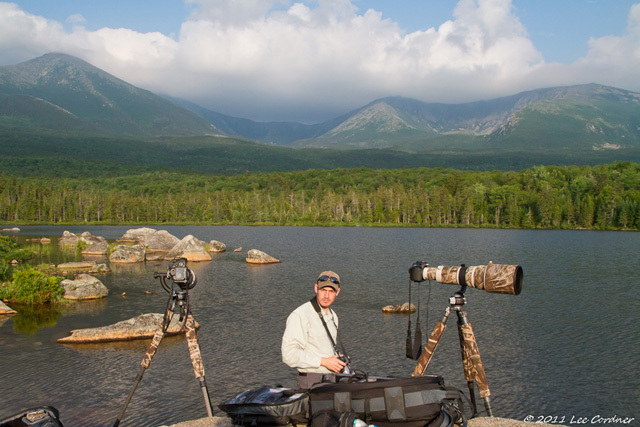 So being flexible enough to put everything on hold and grab my camera whenever I need to is a great benefit of self-employment.” While most of his photography is from within the beautifully picturesque state of Vermont, Chris also has an affinity for travel. He spent eleven weeks in the fall of 2008 on a photography trip to Southeast Asia, spends a couple of weeks every year in Northern Maine photographing landscapes and wildlife, makes an annual trip to the Delaware River region in New York and Pennsylvania for Bald Eagles and additional destinations whenever an opportunity presents itself. Whether locally or afar, you will almost never find Chris without his camera nearby. Chris shoots with Canon EOS 5D Mark III and Canon EOS 7D Mark II camera bodies and for lenses a Canon 24-70mm f2.8 II, Canon 70-200mm f2.8 II, Canon 300mm f2.8 II, and a Rokinon 13mm. He utilizes a Gitzo tripod outfitted with a Wimberley Head for optimum stability. In addition to a passion for wildlife and landscape photography, Chris has taken an interest in the night sky. He has always been drawn to the night sky and has spent countless hours peering into the depths, awestruck by the vastness and beauty. Even though the night sky has been extensively explored by astronomers past and present, this photographic canvas is an exercise in discovery for him, both personally and visually. 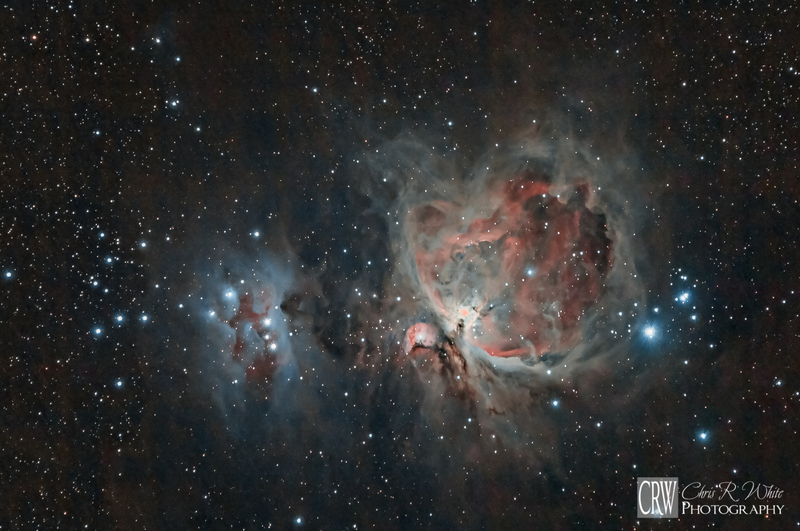 “The universe is full of secrets that cannot be appreciated The Orion Nebula Complex with the naked eye. Through magnification and long camera exposures these secrets are revealed and beautiful scenes emerge! Similar to the changing terrestrial seasons we enjoy here on Earth, the view of space changes with seasons as well. All year long new targets emerge as current ones fade below the horizon. Capturing these objects with digital imagery presents a significant challenge in itself, and processing these images to unlock the data within to create a visually appealing image is even more challenging. Overcoming these challenges, from image capture through processing the data, provides me with immense personal rewards. I can honestly say that every single time I engage with astrophotography, I learn something new, and am afforded a glimpse at our primordial beginnings.” For astrophotography, Chris uses a Canon Rebel T5i (700d) camera body that has been modified to be more sensitive to hydrogen alpha emission lines found within many deep space objects. Stock cameras filter out these wavelengths to produce more pleasing terrestrial results. To track the sky as the earth rotates to allow for long exposure, he uses an Astrotrac Equatorial Tracking Mount and Really Right Stuff BH-55 Ballhead. Be sociable and share! If you enjoyed this, please support my site and share.